'Speech & Debate' is an eccentric, talky three-hander about three teens who have something strange in common: they've each had a run-in with an unseen pervy teacher at their Oregon high school. 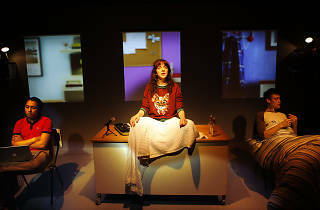 But American playwright Stephen Karam, who last year had an off-Broadway hit with 'The Humans', doesn't present them as victims in this 2008 play. Instead he gives us three random, characterful teens each grappling to work out who they are. Like many teens, his play is unwieldy and unpredictable but moves to its own beat. It's both highly slappable and highly huggable. and uptight, determined Solomon (Tony Revolori), a school reporter, in a high-minded extra-curricular society dedicated to speech and debate. As an outsiders' club of three, they work out their issues in curious ways - including a hilarious late burst of interpretive dance set to George Michael's 'Freedom'. These kids and their big dreams and small horizons made me think of Wes Anderson's 'Rushmore' – but this is much more nakedly tuned in to the messy reality of sexual identity than your average big-screen indie quirkfest. There's one reason above all to see it: Patsy Ferran. Douglas Booth and Tony Revolori bring their own qualities to the play, even if Booth can look encased in his own beauty and Revolori can seem technically wobbly. But Ferran is massively engaging and interesting to watch. 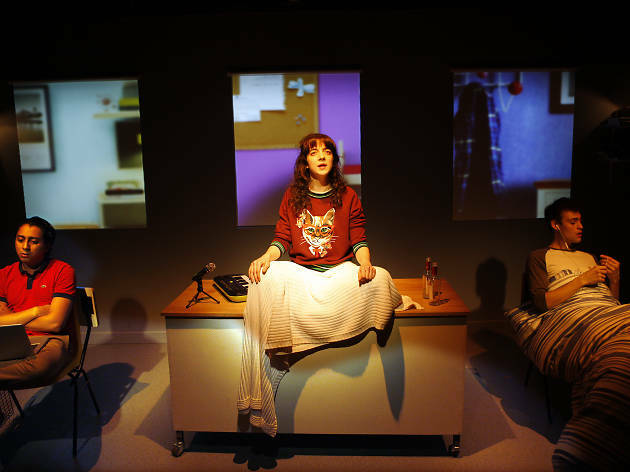 What I ended up liking most about the play, and Tom Attenborough's lo-fi production, squeezed into the tiny Trafalgar Studio 2 on Whitehall, was its empowering, inside-out view of yet-to-be-formed lives. 'Speech & Debate' feels raw, even unfinished, but it builds to something unexpectedly endearing: a brief burst of solidarity before these three re-enter their own orbits. Keep an eye on Ferran: directors will soon be queuing up to work with her.